I would like to start this commentary by assuring you that I really am a fun parent. I’m not a germaphobe despite the fact that I majored in cellular molecular biology, I don’t wrap my children in bubble wrap or tell them not to run for fear that they’ll get hurt and their bedroom walls are not padded despite my ongoing commitment to injury prevention. Okay, so now that I’ve gotten that out of the way, I’ll also tell you that my husband is convinced that all of you who read my column are going to start thinking of me as Debbie Downer if I keep writing about all of the dangers of childhood – a concern I fully understand. The problem is that I just can’t help it. Not when I know that unintentional injuries have long been and continue to be the leading cause of death for children under the age of fourteen, and that there’s a lot that we, as parents, can do to prevent these injuries from happening. While I could take my pick of summertime safety topics to write about (and probably will over the upcoming weeks, since there’s no shortage of them), right now I think it’s well worth the time to focus on the fact that there’s going to be a whole lot of fireworks on the horizon in the not too distant future. In fact, in my west Omaha neighborhood, they’re already a nightly event. Each year, without fail, I cringe at the thought of the potential dangers of fireworks. And just saying that makes me sound like my mother. As a kid, I admit I had a very hard time listening to my pediatrician mother explain the dangers of fireworks. And not just the “dangerous” kind, but essentially all of the fireworks that every other neighborhood child got to light and enjoy in peace without hearing about how many people lose eyes and limbs to fireworks. Back then, my siblings and I weren’t allowed to light anything but sparklers. Knowing what I know now, even sparklers concern me. Of course, saying that alone makes me a bit of a social outcast, given that most families I know are out buying hundreds (if not thousands) of dollars worth of fireworks that they fully intend to fire off together in the front driveway. Now that non-profits are allowed to sell them right here in Nebraska, I can only imagine how many more amateur fireworks we stand to witness in the next few days and weeks. I only hope this increased availability doesn’t translate into an increase in fireworks related injuries. For my part, I figured it might help if I shared a couple of commonly used expressions that I think are particularly relevant to the Fourth of July weekend celebrations. It is my sincere hope that they will give you pause, and then set you up to enjoy a fun-filled and safer family holiday weekend. It’s all fun and games until someone loses an eye…and people actually do. According to my mother, it was the experience of being on call on the Fourth of July in the pediatric emergency room in Boston and seeing a child brought in who had been blinded by an exploding firework that shaped her future opinions of them. According to the Consumer Product Safety Commission, somewhere on the order of seven to nine thousand people a year are treated in hospital emergency rooms for fireworks-related injuries. You’re playing with fire….literally. While you’d like to think that this would be obvious – akin to letting children stick their hands in the oven, for example – this particular burn risk seems to be lost on some otherwise safety-minded parents as soon as their children start begging to go out and join the fun of lighting explosives. And if you think I’m just talking about the more obviously dangerous explosive kinds of fireworks, consider the fact that even good old, presumably benign sparklers burn at temperatures of about 2000 degrees and are responsible for an estimated one third of fireworks-related injuries to children under age 5. You’re throwing caution to the wind – definitely in a figurative sense, but also in a very literal sense. It makes absolutely no sense to me that one of the most well-accepted rituals involved in celebrating our country’s independence is the liberation of lit explosives into the wind in the hopes that they entertain rather than fall on a neighbors roof, tree, or other highly flammable objects. Always have an adult supervise fireworks activities. Parents don’t realize that young children suffer injuries from from sparklers, [which are] hot enough to melt some metals. I spent most of last week on the road – first in Orlando at the International Reading Association Conference and then in Chicago participating in a Twitter Party where I was graciously allotted 140 characters per answer to address the challenges of feeding babies. Given that I routinely scan the Omaha World Herald each morning in search of current, locally-relevant parenting topics to blog about, by mid-week I was feeling more than a bit removed and had all but decided to focus on the benefits of early literacy or feeding babies. That is, until I picked up last Wednesday’s USAToday. What scant details I found condensed into a tiny little paragraph about a baby in Omaha recovering after being rescued from a hot car left me cringing at what might have happened right here in my home town. After returning to Omaha, I not only picked up additional details of this narrowly averted tragedy, but also learned of another child who was recently and inadvertently left in a car while family members went to church. Even though this isn’t Child Passenger Safety Week (which, for future reference, is planned for the week of September 18th this year), and even though I just wrote about important safety considerations related to teen driving last week, this is as good a time as any to discuss additional risks associated with kids and cars. Because the fact of the matter is that although last week’s two incidents both occurred right here in Omaha, incidents like these can happen anywhere and to anyone. It is my hope that they (along with this blog) will serve as a powerful reminder to everyone of just how important it is to protect against these known dangers involving kids and cars. Hot cars. Within a mere matter of minutes, the temperature inside a car can be twenty degrees higher than the outside temperature. Within an half an hour, that number can reach 30 degrees higher than outside. That means that even a 70 degree spring day can quickly become dangerous for children left in cars. It also explains why an average of 38 children die each year from heat stroke after being left unattended. That thought alone should be enough to make all parents break into a cold sweat. Now factor in that children can’t control their core body temperatures nearly as well as adults, and it puts them at risk three to five times faster. Last week’s incident, however, did not tell the whole story. While it is my understanding that that infant was intentionally left in the vehicle, this is not always the case. 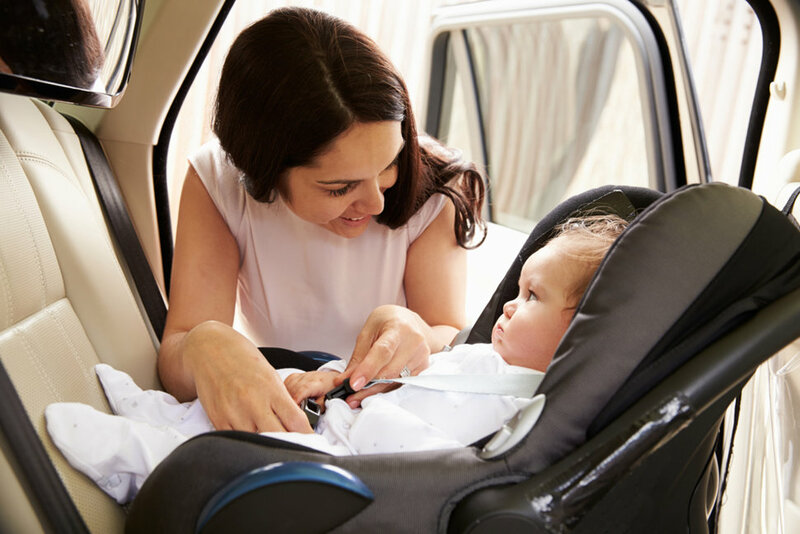 In many instances, parents or caregivers simply forget that there is an infant in the back, especially when they are off routine, tired, and/or in a hurry. I have yet to meet a parent who isn’t off routine, tired, and/or in a hurry at least on occasion. To help safeguard yourself from ever having this happen to you, always check the back seat of your car. Consider putting a small reminder, such as a stuffed animal, on the front seat whenever you put a child in the back, or put your purse (or some other easily remembered object) safely secured in the back seat along with your child. I also recommend that you read the Pulitzer Prize winning Washington Post article, Fatal Distraction. Children left unattended in cars. Power windows, trunk entrapment, and accidentally shifted gears are but a few of the lurking dangers when children are left unattended in cars. Regardless of whether you’re talking about children playing in parked cars in the driveway or being left in a car while you run into a store – you’re talking trouble. While a child left alone in a car doesn’t guarantee a disastrous outcome, it certainly has all the makings of one – even when the temperature is not a factor. With three children of my own, believe me when I say that I am well aware of just how tempting it can be to run in and out of a store without unbuckling, unloading, re-loading and re-buckling up young kids. Yet I never allowed myself to do so, and neither should you – especially if you happen to have children under the age of 7. While there are currently only 18 states with laws against leaving a child unattended, Nebraska happens to be one of them, with a penalty of up to three months of prison time or $500 or both. Backovers. Young kids and big cars certainly seem to be commonplace these days, but this combination of convenience can quickly turn lethal when small children behind vehicles aren’t visible to those behind the wheel. The result is an estimated 50 children being backed over each week in the United States, with at least 2 of them dying from their injuries. While the death of any child is tragic, even more tragic is the fact that a vast majority of the time backovers occur when a parent or close family member is behind the wheel. One of the most publicly heartbreaking examples occurred two years ago, when Grammy-winning Christian music singer Steven Curtis Chapman’s youngest daughter was run over and killed by her brother as he backed the family SUV out of the driveway. So what’s a parent to do? First, be aware of the risks. 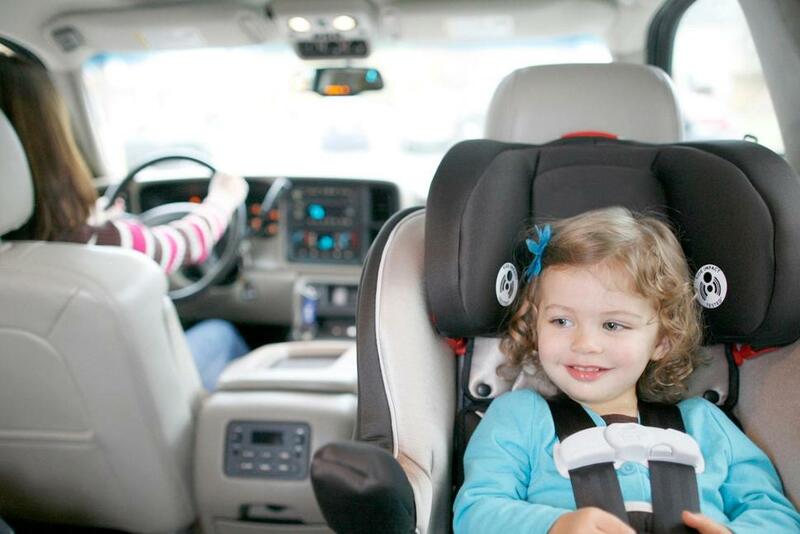 Every car has a blind spot that stands to make anything behind it – including a child – out of sight to the driver. The higher, bigger and/or longer the vehicle, the bigger it’s blind spot. Regardless of the size of your car, you should therefore always walk around it before backing up, and even then back up slowly. Although there are no current regulations requiring a baseline amount of rear view visibility, also be aware that there are cars (my minivan included) that now come equipped (or can be equipped) with a rear-view camera. My advice would be to rank this added feature at the top of your wish list. News of teen car crash victims invariably get me choked up, but I have recently found myself thinking even more than usual about teenage drivers. I’m sure this is in large part due to the fact that my oldest child has now started talking about what car she hopes to drive in the not-too-distant future. I’m pretty sure it’s also because of the recent news detailing the incredibly sad local story about teenage sisters involved in a fatal crash. But to be honest, this time of year always makes me think about the risks involved in newly licensed teens getting behind the wheel. I’m not sure why the time of year should make a difference – since the premature death of a teenager is without exception an horribly sad occasion in any season. But there’s apparently something even more devastatingly newsworthy about covering the senseless loss of life when it happens on prom night or just after graduation when teens should be excitedly preparing to embark on their future, not being laid to rest.